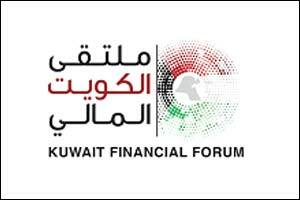 Kuwait –March 13, 2017: Under the patronage of His Highness the Emir of Kuwait, Sheikh Sabah Al-Ahmad Al-Jaber Al-Sabah, represented by His Excellency Anas Khalid Al-Saleh, Deputy Prime Minister and Minister of Finance, the Kuwait Banking Association is organizing the Kuwait Financial Forum on April 4 and 5, 2017 in cooperation with the Al-Iktissad Wal Aamal Group. Set to be held at the Sheraton Hotel in Kuwait City, this event is expected to act as a benchmark item on the agenda of key banking and finance economic figures in the region. This is due to the eminent themes it is expected to tackle, against a backdrop of the current drastic economic changes and their repercussions on the economic trends adopted by regional governments and, consequently, by the relevant private sector institutions, particularly in the banking and financial sector. This forum also creates a huge momentum due to the quality of the audience, as the guest list encompasses several ministers involved in finance and the economy, in addition to key banking figures representing GCC and world-renowned banks. This event thus acts as an interactive dialogue platform between government actors in Kuwait and the region on the one hand and, on the other, the private sector leadership, particularly banks and financial institutions. Al-Ajeel explained that the Forum is also keen on discussing certain issues in ad hoc sessions, leading to a deeper debate of specific matters, such as the Islamic banking industry and some related factors, knowing that this distinct sector is now achieving rapid growth and is linked to some specific technical details. Furthermore, the Forum is set to tackle modern technology, digital services and the tremendous development occurring in this respect. These essential factors, Al-Ajeel argued, were the main milestone for preparing the program of the Forum, which seeks to address all the main issues over various sessions and come up with practical results that act like recommendations and a future roadmap for decision makers themselves and for the banking leadership involved in that sector. Still according to the chairman of the Kuwait Banking Association, “the Forum is to hold on April 4 an ad hoc session entitled “The Kuwait of Tomorrow: Risks, Challenges, and Strategic Alternatives.” This session, which sheds a light on the Kuwait Development Plan, will discuss the dangers linked to maintaining the current economic policies, the future situation, and the role of renewable energy in securing future energy resources for Kuwait. Other items on the agenda of this session include the strategic alternatives to economic activity with regard to developing local institutions and companies, the knowledge economy and the role of the State in supporting alternative strategic trends in the future.” This session, he emphasized, acquires a major importance as it represents an opportunity for the relevant world financial institutions and private sector companies in keeping with the efforts made by the government in order to facilitate the business environment, attract foreign investments and provide new job opportunities. The Forum also provides an occasion to highlight success stories of public-private sector cooperation on various levels.